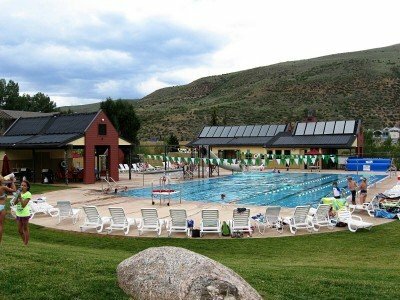 In the summer months, 37 Heliocol solar pool heating panels will keep the pool warm and comfortable. Heliocol’s wide variety of panel sizes gave the design and installation team the flexibility to cover nearly all of the remaining roof space. The Heliocol panels were installed at a low angle to maximize summer performance.